Bay Dermatology Centre is one of the foremost dermatology centers in Toronto and Canada. Owner and medical director Dr. Sandy Skotnicki started the center in 2006 with a vision of providing a full-service dermatology clinic focused on patients rather than procedures. 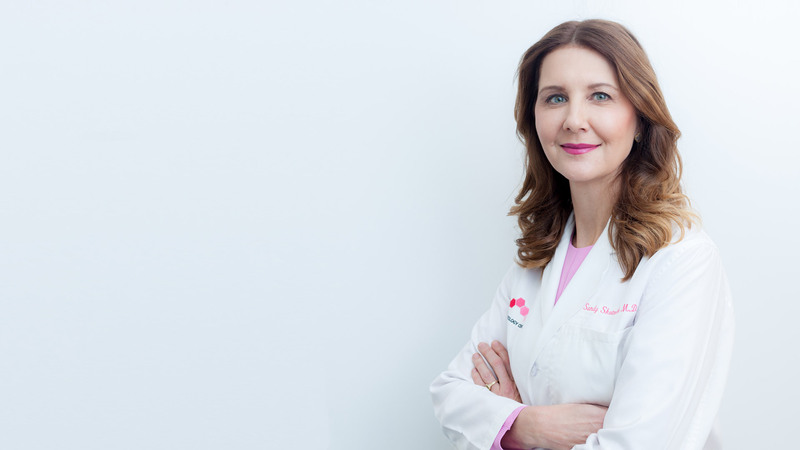 Dr. SANDY SKOTNICKI is the founder of Toronto’s Bay Dermatology Centre and an Assistant Professor in the Department of Medicine, divisions of Dermatology and Occupational and Environmental Health at the University of Toronto. She is a consultant dermatologist at Toronto’s St. Michael’s Hospital. A well-known expert on skin allergies, she has been quoted in Flare, Elle Canada, Chatelaine and The Globe and Mail. Her television and radio appearances include ET Canada, CTV, CityTV, Global News, CBC Radio, the National and CBC National News. The Bay Dermatology Centre is foremost a Medical referral clinic. Referral for all skin, hair, nail and mucosa disease requires a referral from another doctor. Full skin exams are offered and recommended for all new patients. We will forward on a consultation report to the referring doctor. The Bay Dermatology Centre is first and foremost a medical dermatology clinic. We do offer several aesthetic services, however, which can aid prescribed medical therapies for various skin diseases and photo-damaged skin. Bay Dermatology Centre offers a full range of cosmetic procedures. Referral from another doctor is not necessary to see a dermatologist at the centre for more information on one of our services. 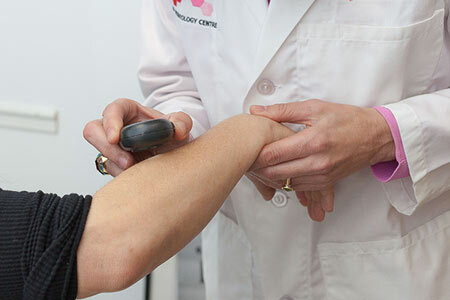 Bay Dermatology Centre is one of the foremost dermatology centers in Toronto and Canada. Owner and Medical director Sandy Skotnicki started the center in 2006 with a vision of providing a full-service dermatology clinic focused on patients rather than procedures. I went to see Dr. Skotnicki for a consultation. I was quite impressed at her professionalism and confidence in her diagnostic skills. I would highly recommend her. Have been to this clinic regularly for several months and the staff have been very helpful. They have made it easy when needing to reschedule appts. They may be a low key team (read not gregarious) but smile and communicate well. I am impressed by the professionalism and expertise of Dr. Sandy Skotnicki. I have been suffering with atopic dermatitis for many years and more severely for more than a year. It has interfered with my work and my sleep. I had seen several doctors including dermatologists and an allergist and have had contact allergy testing. I was told the problem is difficult to manage. I was sent a long list of products to choose from that might not have the allergens that I am sensitive to. However, when I saw Dr. Skotnicki, she listened to and responded to my questions and concerns. She gave me a very short list of items to choose from. She gave me a prescription and advice on its use. She also gave me a follow-up appointment indicating that she was interested in helping me and knowing whether my condition improved. It has significantly. I am extremely grateful for benefitting from her knowledge and care. You book your appointment weeks, sometimes months in advance. You scramble to get to our office on time. Some of you travel great distances. But finally, you get here… and you wait. You wouldn’t make your own clients or loved ones wait as long as you sometimes do here. So why we are making you wait after everything you have done to get here on time? The Bay Dermatology Centre is foremost a Medical referral clinic. Referral for all skin, hair, nail and mucosa disease requires a referral from another doctor. Visit Dr. Sandy Skotnicki’s new website to learn more about her best selling book Beyond Soap: The Real Truth About What You Are Doing to Your Skin and How to Fix It for a Beautiful, Healthy Glow.